Canterbury is a spacious family home, that fulfills all the needs that todays families expect in a home. This home offers an open floorplan with separate areas for a formal lounge and an informal family room. The kitchen is a central and easy to access from all points in the main living area. The main bedroom is separate from the rest of the family bedrooms for privacy. Entertaining guests is made easy with the alfresco area opening into the Family room and close to the kitchen. 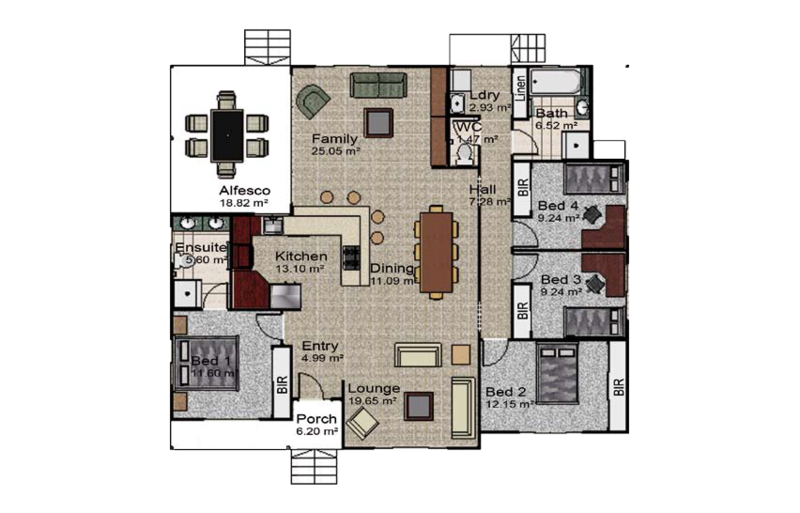 Canterbury is an attractive home based on a spacious traditional style.